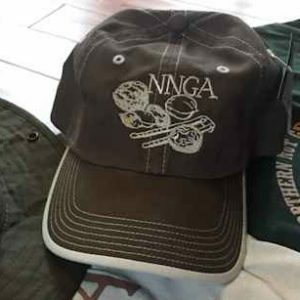 NNGA T-Shirts, which can be worn by both men and women, are available for purchase at $20.00 US ($30 if shipped outside of the continental US) each, including postage and handling. 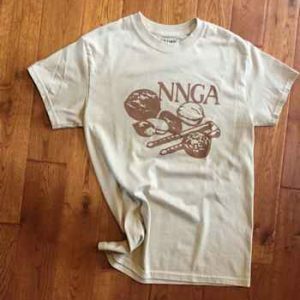 The shirt which includes the NNGA tree logo comes in two colors: forest green or burgundy. The forest green tee shirt with a light tan NNGA logo is pictured in detail below. LIMITED SUPPLY. Available sizes for both the forest green and burgundy shirts are: Adult Small and XXL.